Country music star Alan Jackson's daughter Mattie Jackson Selecman is working to help orphans, widows, and trafficked women! More on NaSHEville here! Country music icon Alan Jackson and wife Denise‘s eldest daughter, Mattie Jackson Selecman, has been through the unthinkable. In early September, she lost her husband of less than a year, Ben Selecman, due to traumatic brain injury he suffered while on vacation in Florida. Despite her intense personal pain, Mattie is pushing forward and dedicating herself to helping others. Mattie and her friend Brooke Tometich have started a new venture dubbed “NaSHEville.” The pair aim to help women and children in need— specifically orphans, widows, and trafficked women. 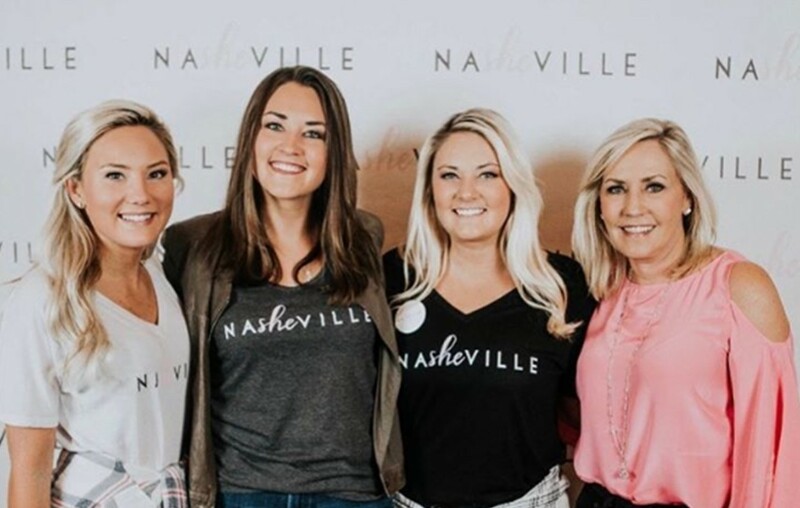 “NaSHEville is a brand, a body, and a movement celebrating fierce, grace-filled women of Nashville and calling them to share their stories and gifts with other SHE’S of our city,” the official website reads. Obviously, Alan Jackson is extremely proud of his daughter! “My daughter Mattie has a new mission and venture that gives back to women and orphans in need. Go check out @nasheville_ and support strong women like her, turning their great pain into a great purpose. #ProudDaddy #ProudOfAllMyGirls #NaSHEville,” Alan captioned the photo of his wife and three daughters (Dani, Mattie, Ali). Way to go, Mattie and Brooke! We hope these two and their Nasheville cause make a big impact on those they wish to help. Share this news with other fans of the Jackson family!